Here you will find all the 1920’s Flapper Dresses for the Fancy 1920’s Flapper Culture Costumes. Add some 1920’s extra accessories like one or our 1920’s Elegant Flapper Beaded Tasseled Jackets, 1920’s Style Flapper Headbands, 1920’s Long Evening Gloves, a 1920’s Rhinestone Choker & an Extra Long Strand of Pearls, like they wore in the 1920’s, and you’re going in 1920’s Vintage Flapper Style. You can get Upper Class 1920’s Flapper Attire or Median Priced 1920’s Fashions and Economy 1920s Flapper Costumes & Accessories here. 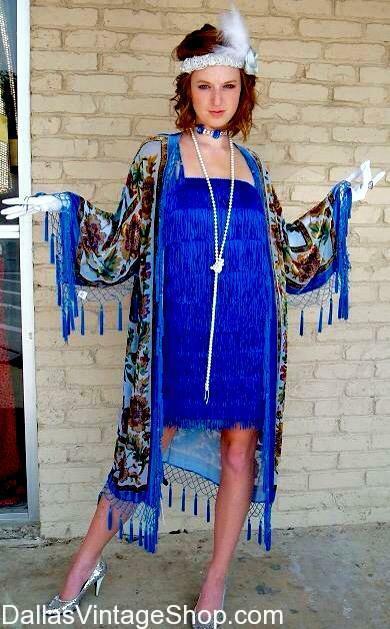 Nobody has a larger selection of 1920’s Clothing & 1920’s Flappers Dresses in the Dallas Area.